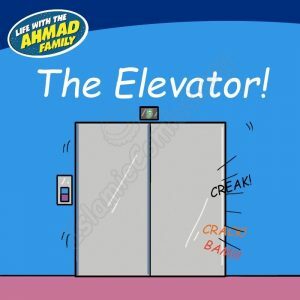 ‘Life with the Ahmad Family’ is a comic series developed by Absar Kazmi with the help and support of Hiba Magazine. 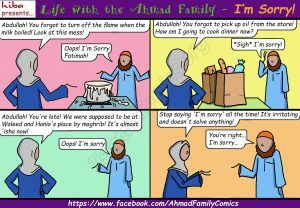 The Ahmad Family is a practicing Muslim family consisting of: Jamal, Abu Jamal (Abdullah), Umm Jamal (Fatimah), Mariam (the baby) and Fuzzball (the cat). 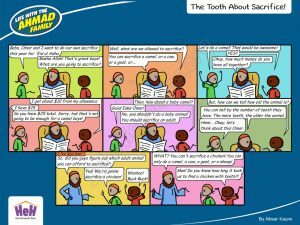 These comics are all about the challenges they face while living in a multicultural environment. 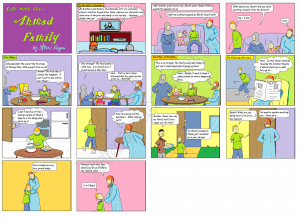 Enjoy reading them! 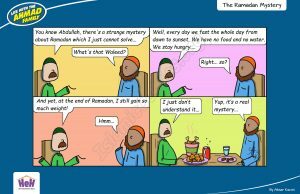 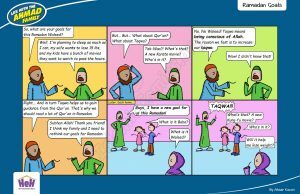 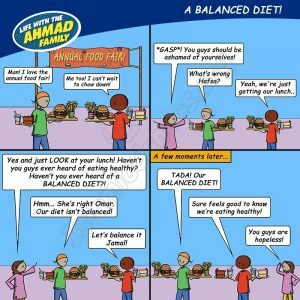 The HaLOL Life – Printed Ahmad Family Comic Book! 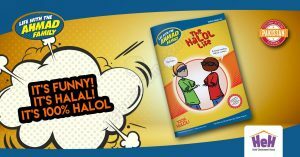 Alhamdulillah, you can now order your own copy of our brand new comic book, ‘HaLOL Life!’ Click here for more details!